Artificial intelligence (AI) has moved from the silver screen and into our homes and businesses. Without even knowing it, most people encounter some manifestation of AI in their daily lives. From intelligent personal assistants such as Siri and Alexa to integrated AI systems such as IBM’s Watson, AI has already had — and will continue to have — a profound impact on the way we work, play, and live. As attorneys immersed in the technology space, we have witnessed, assessed, and counseled how technology, including AI, will affect the legal profession and the role of general counsel. Although technological changes are often incremental, the sum of those changes with respect to the increased adoption of AI will be enormous. For example, the ability of artificial intelligence to handle certain repetitive and mundane tasks of a legal department in a consistent and efficient way will precipitate a shift in focus of the legal team and likely reduce the legal resources necessary to perform many tasks. In this article, we discuss three key areas that we believe AI will disrupt and how they will affect general counsel: (1) the automation of routine legal and compliance services and the corresponding repurposing of existing resources; (2) document assembly and analysis; and (3) the need to shift from tactical to strategic thinking. AI’s automation of routine legal services is probably the most exciting change coming to legal departments. Although general counsel usually decide what is and isn’t “routine” legal work, the following tasks are generally regarded as those most likely to be displaced — in whole or in part — by AI: completing standard questionnaires or forms, basic research and due diligence, and document review. Automating these tasks creates numerous benefits for a company, with the most obvious being a reduction in tedious, time-consuming work, which will ostensibly allow in-house attorneys to focus on more strategic, value-added services. Creating and using an AI framework will result in greater organization and consistency across the company. For example, using AI to assist completing third-party questionnaires, such as ones dealing with data security, gives lawyers a head start in filling out lengthy documents, which may make the person less inclined to put off the task or simply assigning it to outside counsel. Similarly, conducting basic legal research has become much more efficient with the internet. However, research still requires significant time, resources, and skill to determine the most appropriate keywords, distinguish good from bad law, and differentiate between persuasive and controlling authority. AI has the capacity to reduce the time and resources needed to research, analyze, and solve vexing legal questions. Because machine learning can associate words without training or human intervention, attorneys — after ensuring that the AI has access to the relevant documents or databases — can input their queries and receive a rank ordered list (by the degree of relevance) of answers to the specific question. However, for now, at least, in-house counsel will ultimately need to review the results and possibly expand or modify the search parameters. Having AI support the search is comparable to having an intern or a law student assist with the research. Likewise, AI can — and has been used to — automate and improve the due diligence and document review process. In connection with most mergers or acquisitions, the purchasing party combs through hundreds of documents and performs due diligence on the target. Similarly, in a litigation, each party will review mountains of documents to determine if they are responsive to a document demand and then produce the ones that are relevant and not privileged. The other party will need to review the produced documents to determine if they are useful for its theory of the case. On the transactional front, attorneys often need to review contracts, determine similarities and dissimilarities among them, and report and make recommendations on certain contractual issues. Attorneys can use AI for all of these tasks, which could substantially reduce the company’s legal spend — both for internal resources and those of outside counsel. Despite these clear benefits, there are inherent drawbacks and challenges regarding AI. AI essentially operates in a “black box” environment where even a skilled programmer cannot investigate the algorithms to determine how the AI arrived at its conclusion. For legal teams operating in regulated industries — where audit trails are often important — such a break in the audit chain may prove a fundamental weakness in any analysis the AI provides. In addition, over-reliance on artificial intelligence, and specifically machine learning, may stifle the development and growth of attorneys, particularly more junior ones. Although attorneys usually obtain several years of experience before going in-house, that is not always the case. Moreover, if many of the basic, routine functions (e.g., document review, diligence, and basic contract drafting) are outsourced to computers rather than junior attorneys, they may never obtain the training and experience necessary to develop the skills required to become fully-actualized lawyers. The general counsel must address these problems through training, education, and development. They cannot blindly rely on AI without validating its results. Rather, any AI report should be the starting point in any legal analysis. Similarly, general counsel should ensure that their attorneys are trained in the proper usage (and limitations) of AI and continue to hone their legal and analytical skills. Improving the contracting process is another exciting function of AI, and several companies are offering sophisticated AI systems to law firms and general counsel for such purposes. For example, Kira System’s AI solution automatically extracts and summarizes contract provisions to uncover insights faster than individuals can. Similarly, Luminance reads and understands contracts and other legal documents and finds material information and anomalies without any instruction. These solutions and others like them are revolutionizing contract analysis and compliance processes. In the future, AI solutions with a sufficient repository of legal contracts from which to learn would be able to construct a variety of contracts, such as master service agreements and their accompanying statements of work, license agreements, and buy/sell agreements, with little error. Although there are solutions, such as LISA, that currently offer “robot lawyers” to construct and negotiate basic legally-binding agreements, human intervention is still generally required (and certainly recommended). Notwithstanding, AI will continue to automate contracting drafting, which will hopefully reduce contracting lead times and reduce costs. More than assembling initial versions of contracts, AI can also analyze proposed changes to contracts during the negotiations process and make recommendations based on past contracts executed by the company. Specifically, when the company receives a contract from a counterparty, the AI can automatically compare that version to the prior version, review those changes, and propose its own markups. In fact, in order for the AI to do this, a lawyer is not required to have set the rules by which the AI should be guided in this drafting process. Instead, the AI can review previously executed contracts and their intermediate drafts to determine, with varying degrees of certainty, how the company would prefer to respond. However, if preferred, company counsel can set the rules and parameters by which the AI should be governed. In any event, the AI will be a faster learner than its human counterparts. However, there is the risk that the more lawyers rely on AI to create and negotiate their contracts, the less they will know about their own agreements. It is easy to imagine a scenario involving a breach of contract claim where the decider of fact needs to understand the intent of the parties. In light of the black box problem noted above, it may be difficult or impossible to make that determination. Perhaps AI, once deployed and consistently improved, will help obviate this problem. Increased deployment of AI solutions will precipitate these and many other changes. Like other technological advancements, however, artificial intelligence applications will take time and will roll out incrementally both in the marketplace and the workplace. The corresponding demands and expectations of those working in the general counsel’s office will change with these adoptions. Perhaps the most overarching change will be the transition from tactical to strategic thinking. Tactical thinking is the nuts and bolts of the legal profession. It is the work that lawyers are accustomed to performing. First, someone presents a lawyer with a question, then the lawyer researches and analyzes the law, applies it to the given facts, and makes a reasoned and informed recommendation. This sort of tactical thinking will become less valuable, because those are exactly the kinds of tasks and methods that AI is particularly adept at performing. So, no matter how good the lawyer is, it will be much more cost effective to use AI. Therefore, attorneys should focus more on areas where AI cannot compete, namely, strategic, big-picture issues. By shifting the in-house team’s direction, AI will correspondingly shape a different culture. Additionally, because the legal department will likely engage much more in company strategic and business issues, each attorney will focus more on business decision-making and corporate considerations. However, this transformation will not make the lawyers less important in their legal capacities. The AI might have completed the initial review, drafting, or negotiation of the documents, but the human attorneys will have a better understanding about why certain clauses need to be the way they are and why others need be changed. These changes to the AI’s recommendations will emanate not only from the lawyer’s knowledge of the law, but also from his or her knowledge of the counterparties, the customs and practices in the industry, and the parties’ course of conduct and prior dealings. Law, like most industries, has been greatly impacted by changing technologies, automation, and the increased digitization of information and processes. Large libraries filled with stacks of books have been replaced by databases accessible from any computer or mobile device from anywhere, anytime. Librarians have been displaced by tech-savvy knowledge and research managers. And armies of junior associates and contract attorneys engaged on large document reviews and due diligence projects are increasingly giving way to the machines. 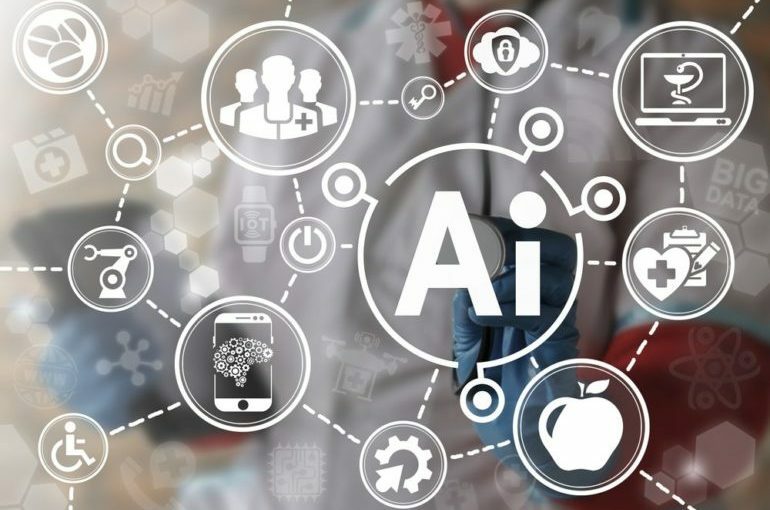 By some estimates, machine learning can reduce document and diligence review time by almost 80 percent, so it is not surprising that those tasks are often performed using AI. Recruit, educate, train, and develop attorneys and staff to use AI and other technologies to supplement and enhance their own decision-making and work product. AI will continue to advance. It is the job the general counsel and their team to advance with it.